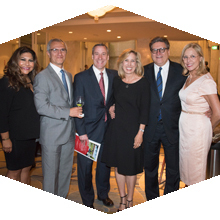 Wendy Greuel has spent her life giving back to the community — whether serving on the staffs of the mayor of Los Angeles and the President of the United States or as an elected official herself. She will tap into that experience in her newest role as executive-in-residence in CSUN’s David Nazarian College of Business and Economics. Jenny Novak has ensured that the university is prepared for all sorts of emergencies – including a zombie apocalypse. 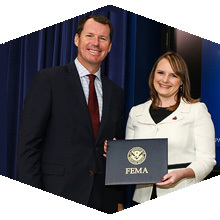 Her hard work was recognized by the White House on Sept. 13 with the Federal Emergency Management Agency’s (FEMA) Individual and Community Preparedness Awareness to Action Award. The Zombie Preparedness Scavenger Hunt is an annual event in October where students receive a map and a punch card to visit various areas on campus and gather items for a starter disaster preparedness kit. This year’s hunt will take place from 10 a.m. to 4 p.m. on Oct. 25. CSUN will host a Pride Night as part of its match against Big West rival Cal State Fullerton. Attendees will receive free T-shirts and there will be information about CSUN’s Pride Center and other resources available on campus. Aida Cuevas’ 37 albums have sold more than 7 million copies and earned her the title “Queen of Ranchera.” VPAC has paired the solo artist with the trailblazing all-female Mariachi group, Reyna de Los Angeles. Know a student with a passion for the humanities and a commitment to diversity who wants to become a college professor? He or she can now apply to a new program called HSI Pathways to the Professoriate, which aims to transform the landscape of the professoriate by increasing the presence and visibility of Latina and Latino faculty members in the humanities. Ten qualifying juniors will be selected this fall for the first cohort of HSI Pathways/Mellon Student Fellows. Applications are due at 4 p.m. on Nov. 15 and the next info session will take place from 12:30 to 1:30 p.m. on Oct. 12 in Jerome Richfield Hall 319. CSUN’s College of Engineering and Computer Science and the David Nazarian College of Business and Economics are co-hosting the Art of Innovation Conference, which takes place from 8 a.m. to 3:30 pm. 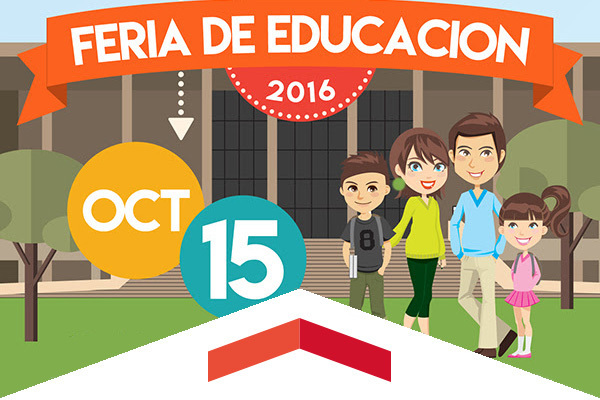 on Oct. 14 in the Grand Salon of the University Student Union. The 2017 Faculty Retreat will be Jan. 18, 2017. Proposals to give a presentation at the retreat are now being accepted. The proposal deadline is Oct. 17. For more information, contact Heidi Wolfbauer at ext. 3263 or heidiw@csun.edu. The CSUN Women’s Basketball program will hosts its fourth-annual Tip-Off Dinner on Oct. 22 from 5 to 8 p.m. in The Matadome. The event will include dinner, a silent auction, a Q&A session with the coaching staff and the team and a live dessert auction. The cost of the event is $35 per person. For more information or questions on the event, please contact assistant coach Christine Collins-Kiernan at Christine.collins@csun.edu or at (818) 677-5395. Join Sandra Salute, Assistant Director of Fitness and Wellness, in the Oasis Center to discuss ways to make healthier lifestyle and behavioral choices using various tools that incorporate fitness- and wellness-related activities into your life. Interested in learning more about LGBTQ students and how to assist in their academic success? This session will provide faculty and staff with simple tools on how to make their classroom or department more inclusive for LGBTQ students. Join CSUN’s Chief Diversity Officer Raji Rhys and Director of Equity & Diversity Susan Hua for an action-packed workshop. Through practical, evidence-based tips and tools you’ll learn how to convert differences into creative fuel, and inclusion into an innovation engine that produces novel solutions to your toughest problems.